Here we are with yet again exiting offer by GearBest. This time we bring you the all-new CHUWI Hi10 Plus Tablet PC. The new CHUWI Hi 10 Plus is best designed to meet your needs of multi-tasking at the same time offers high mobility with its compact design and easy to carry weight. With Windows 10 installed in it, your working experience is going to be simply fabulous. 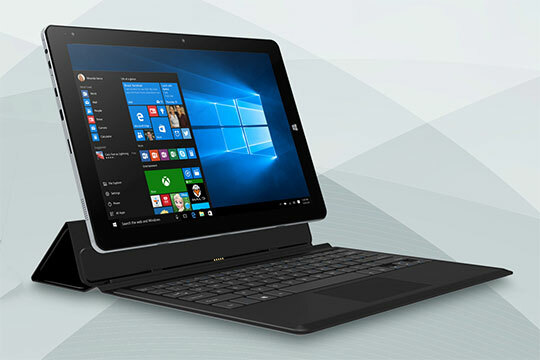 The all-new CHUWI Hi10 Plus Tablet PC is a 10.8 inches wide tablet that is built with Windows 10 OS. It weighs only 686gms and is very feasible to carry anywhere you go. It has a dual camera set up with both cameras that are the back and the front camera of 2 megapixels capacity. Not only this, the device is equipped with 4GB RAM that makes your working experience a high speed one. Sounds interesting, aren’t it? 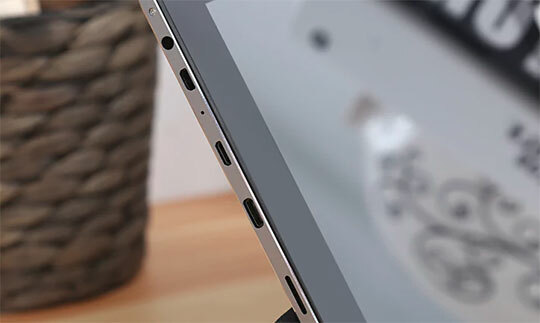 To know more about the product lets peek at the details of the all-new CHUWI Hi10 Plus Tablet PC. The very new CHUWI Hi10 Plus Tablet PC has a 10.8 inches wide screen. It has a stunning display of 1920 X 1280 pixels resolution. You will be surprised to know that you can experience almost the same display quality as the fabulous Apple’s retina display. The retina display has a pixel density of 219 pixels for every inch whereas CHUWI Hi10 Plus Tablet PC has209 pixels per inch. Moreover, the device is equipped with IPS display with is the best that is available in the market. In short, we can say that you get almost high-end features at an economical price. Recommended for you: The Teclast X3 Plus 2 in 1 Tablet PC Review - All You Need to Know. 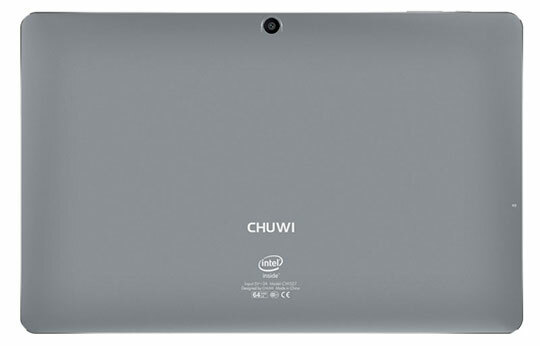 The new CHUWI Hi10 Plus Tablet PC is an Android+Windows powered device. It has Windows 10 installed. The device brings back the start menu from Windows 7 but what makes difference is the introduction of new features Edge Web browser that enables you to markup web pages on your screen. 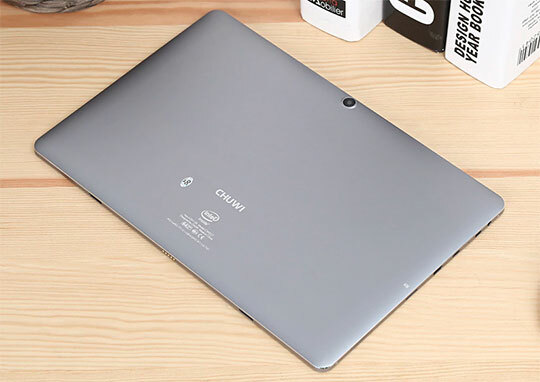 The all-new CHUWI Hi10 Plus Tablet PC has a simple but effective design. On the first look you would find it very simple but as you use it you will start experiencing its class. The very simple but luxuries design has an aluminum finish and curved edges. This feature gives it a classy appearance. The device is equipped with 4GB RAM to make your working experience better. It has internal storage of 64 GB. If you need more space on your device just throw in a MicroSD card of 128GB capacity. The new CHUWI Hi10 Plus Tablet PC comes with a 3.7V battery. The device is known for its long-lasting battery backup thanks to 8400mAh capacity battery. So, friends, you can carry the device anywhere without worrying about the battery. 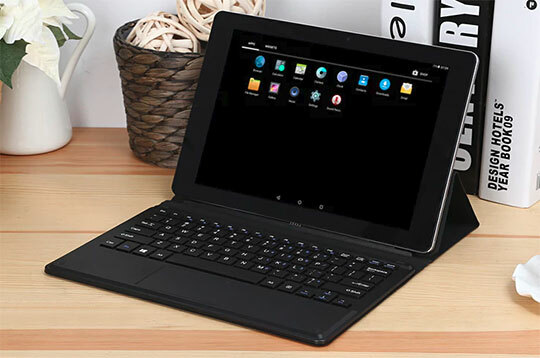 You may also like: The CHUWI Hi10 Pro – An Affordable 2-in-1 Ultrabook Tablet PC with Keyboard. Talking about its keyboard the device is equipped with a magnetic docking interface design that makes it super easy to connect. 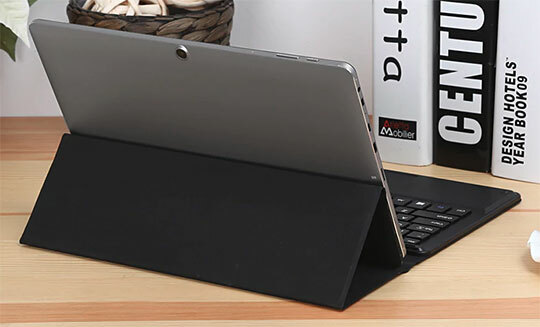 The keyboard is very feasible to carry out tasks like writing emails, playing games, chatting etc. Its stand design makes it convenient to view pictures or enjoy videos. 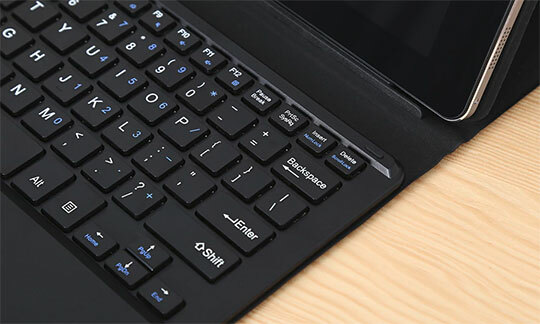 Moreover, to add to its class the keyboard has a PU leather surface that gives a comfortable hand feel. It is precise and easy to use. It is very easy to install and remove as per the need of the user. The keyboard is 27.90 X 19.60X1.20 in dimensions. It weighs 454 gms. GearBest always tries to bring you desired gadgets at a price that you can afford. For the given device you have come at an exciting price that is actually 33% less than the actual cost of the product. They are offering you the product at $179.99. So what are you waiting for? Go ahead and order one today. You can buy this product at a price of “$155.99“, with coupon code “GBTPC04“. It will work only for “first 50 customers” and the expiry date of the coupon code is “30th November 2017“. 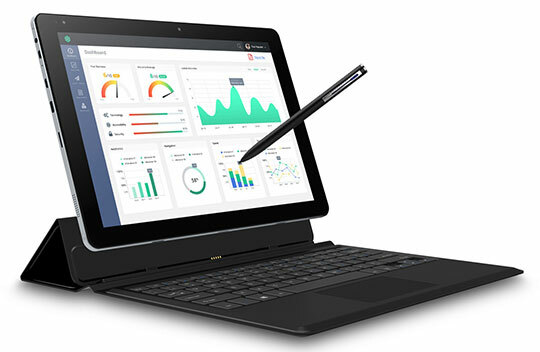 The new CHUWI Hi10 Plus Tablet PC gives you a very smooth working experience. Not just that but it’s light, classy and at the same time suits your pocket. So just roll up your sleeves and get one now.